Description: Your Guardian Dragon knows that a Guardian needs someone to watch their back… and incinerate their enemies… with humor and style! This pet speaks during battle. 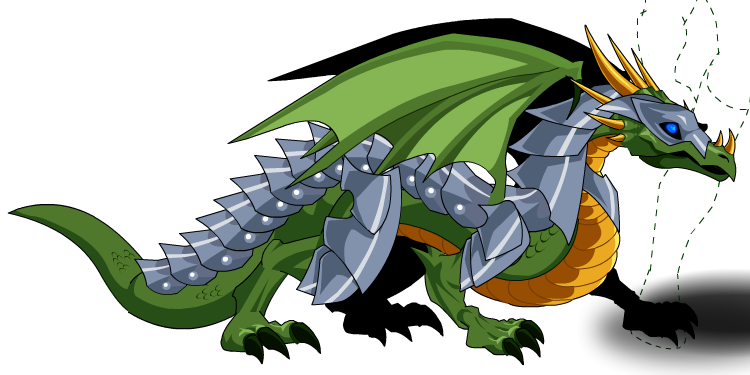 This item is themed from the Guardian Dragon from AdventureQuest. *yawn* I just woke up from a nap. Now smell my morning breath! As you command, Master. I shall unleash my power upon thy enemy! Another summon, Master? Very well, but quickly. I've got a date with Serlissa! Did you see that?! Did you see that?! D-do you re-realize t-t-the amount o-of c-c-coffee potions I g-gotta drink to k-keep up with all t-the summons? Do not meddle in the affairs of the Guardian Dragon. I'm running out of ketchup! Do you guys always have to summon me when I am using the restroom?! Don't blame me, the people on the forums and the in the chatroom wrote my lines! For fiery death, touch rune 1. Foul creature…. prepare thyself for the wrath of the Guardian Dragon! Geez, again! Haven't you ever heard of spells? Give a monster a match and it'll be warm for a minute. Set it on fire, and it'll be warm for the rest of it's life! Gotta make this fast, I've got a Trobble in the oven! Hmph… another monster already? As you command, Master. Hrmph…. this opponent is too easy for you, Master. Allow me! I came to kick arse and chew bubble gum… and I'm all out of bubble gum! I could quit this job. My agent says Peter Jackson wants me to play Smaug. I love the smell of dragonbreath in the morning. Smells like… victory. I need to teach YOU to do this so you won't have to summon me. I never got a gift from you last Frostval. Care to explain that one? I scratch your back, you scratch mine. No, seriously, there's a spot right between my shoulders that really itches! I wish I could pay some money, wave a small stick around, and summon YOU whenever I wanted! If I had a gold piece for every time I was summoned, I could retire and let Junior take over. If not for me, do you know how many more favors Death would have? I'mma chargin' mah fire breath! Look, you call me, I burn it. Do you need a witty punchline every time? Master, this foe is unworthy… allow me to vanquish it! My apologies for running late Master, the server's lagging up again. My breath goes to eleven. That's hotter than ten. My name is Guardian Dragon. You provoked this hero into summoning me. Prepare to die. Next time could you summon me to fight something that bathes occasionally? Okay! I'll burn the darn monster! But I am NOT going to give you a witty punchline! Prepare thyself for oblivion… nothing can resist my attack! Ready to meet the Reaper? RAWR. There, I said it. Ugh, I shouldn't have eaten that Firezard con carne. Why do I always have to have the humorous phrases? Why can't you say something once in a while? Who's the man. Oh yeah. I AM the man. You could at least buy me dinner first. I feel so used. You are like a second son to me. Every time you screw up, I have to clean up your mess. You just remember who needs who in this relationship. You know, before you Heroes started summoning me, I used to have a social life. You know, I wanted to be a poet. Crush my dreams, why don't you? You may get the rewards, but I'm the one who gets the girls. You summoned me, Master? Ah…. Feel my wrath, foul fiend!